Driving innovations for decision making worldwide. 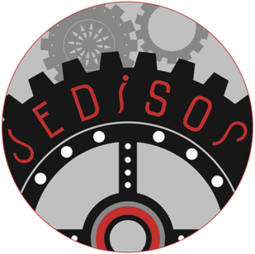 JEDISOF® is the sole provider of custom cloud software that enhances, adapts and assists decision makers, where our software uses Artificial Intelligence (AI) principles to process relevant data and suggests actions for the user to implement. Our software platform will change the way you work by streamlining all processes and supporting the right decisions efficiently with individual relevant data. An affordable solution to having the right way of doing things, from engineering to hospitality, or military to healthcare. The JEDISOF ToReCall® platform is the new era of thinking. As the world of AI begins to surface and more companies begin to embrace and analyze big data from IoT, the human should always be the final decision maker. Our standard and customized modules allow the user to be just as efficient, including the user(s) (with supporting data) in the solution creates a more efficient solution than other platforms that rely just on artificial intelligence. Increased first-pass quality and efficient productivity across multiple platforms are achievable. And with our Infinite KnowledgeBase™ or IKB, unlike cumbersome collaboration networks, ToReCall turns structured and unstructured data into individual relevant data.